Purpose: Use this document as a reference for creating a change order to a PO in ctcLink. 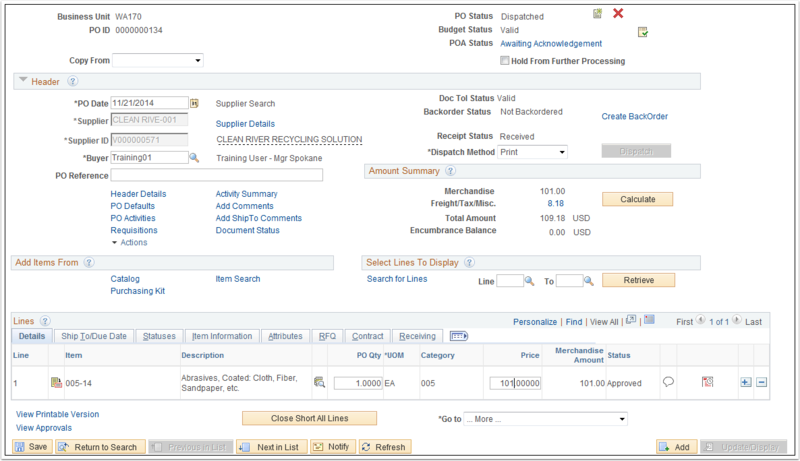 Use the Purchase Order page to find an existing PO. If it didn’t default, enter the business unit in the Business Unit field. 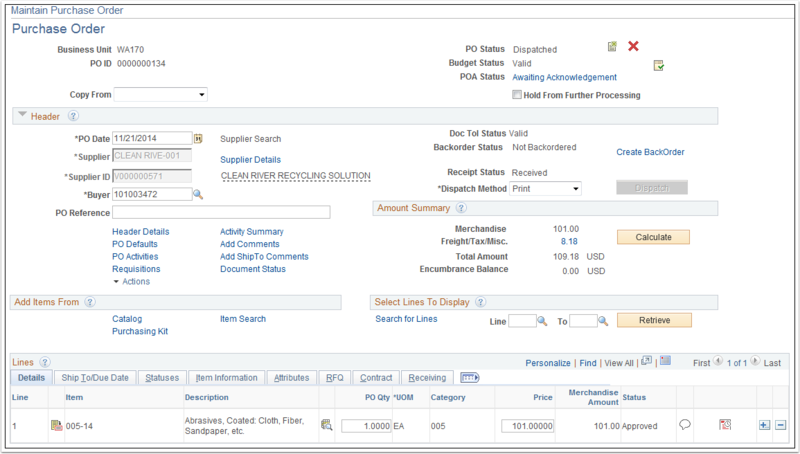 Use the PO Status drop-down button to select the Dispatched option. Select the PO that you wish to change. Note: The fields that trigger change order generation become available for entry. 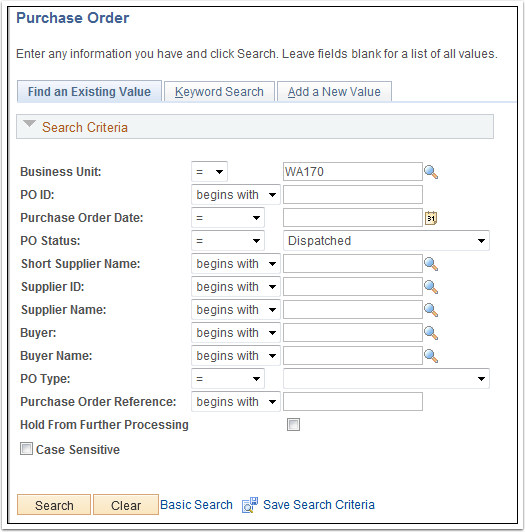 On the Maintain Purchase Order page update the Buyer in the Buyer field (if required). Click the OK button to acknowledge the second Message. If necessary, update the PO Qty and/or Price fields. Then, click the Save button. 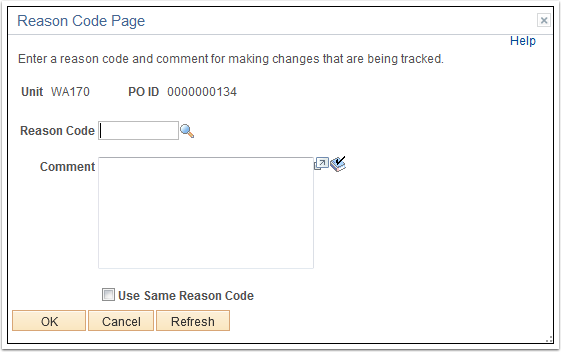 Enter or select the reason in the Reason Code field for the PO change order. 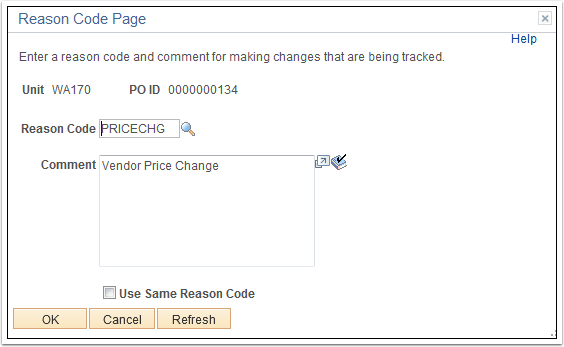 View the Change Order number under the PO ID number in the top left corner of the Maintain Purchase Order page.